Restricted to 5 movies. But it lets you try out the UI before you buy. 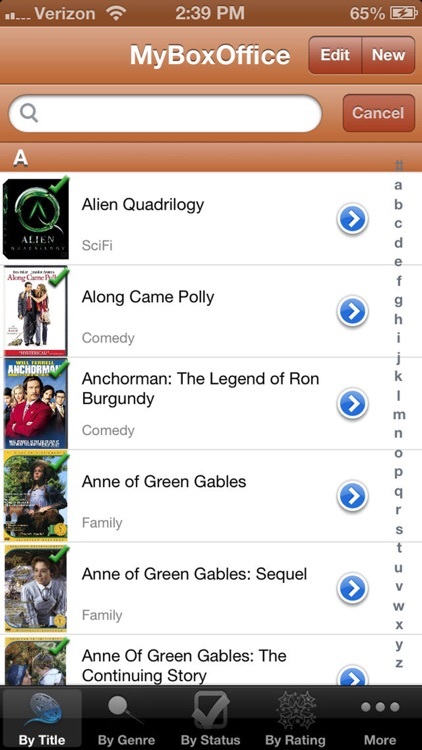 MyBoxOffice is a personal movie database designed to keep track of your personal DVD and VHS collection. 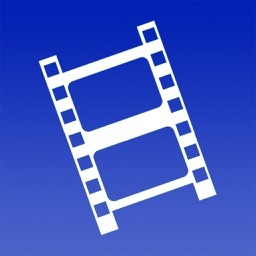 Movie data can automatically get pulled from the internet to provide title, genre, and the movie cover image when you provide the UPC code. 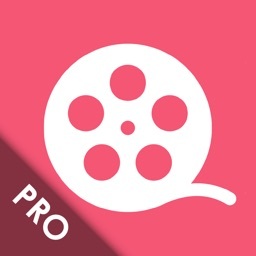 Movie data can also be entered manually. 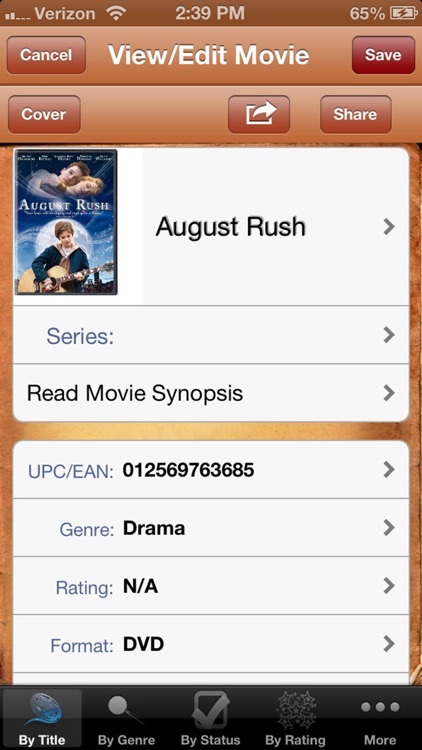 Movies are displayed by title, genre, and loan status. 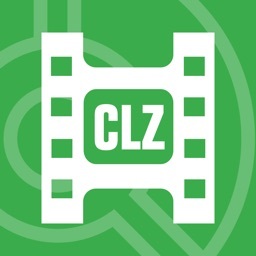 You can search for movies in your collection and enter a "loan status" to keep track of who you lend a movie to or borrowed it from. This free version is ad-supported and is 100% full-featured. You may remove all ads via the in-app purchase in the Utilities tab. Please send me an email with any suggestions you may have and thank you for your positive feedback! 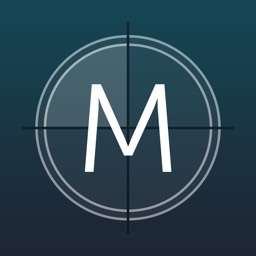 - Scan barcodes directly into the app using the built-in and ready-to-use iOS or Zbar scanners! Can also use Pic2Shop as a separate app! 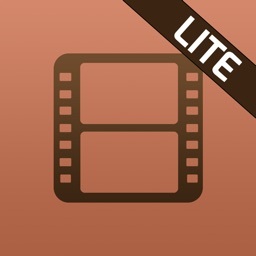 - Tilt your device to landscape view and view your movie covers in "shelf view" mode. 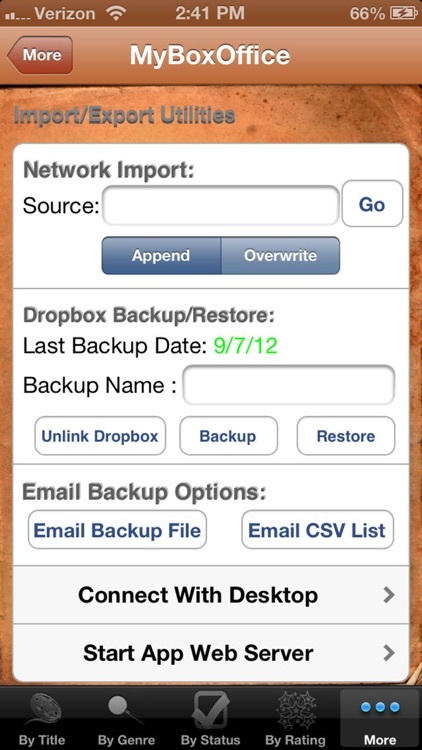 - Email backup files (CSV or binary) to a location of your choice. - Import your own data (CSV format) or backup files. - Not sure what to watch? 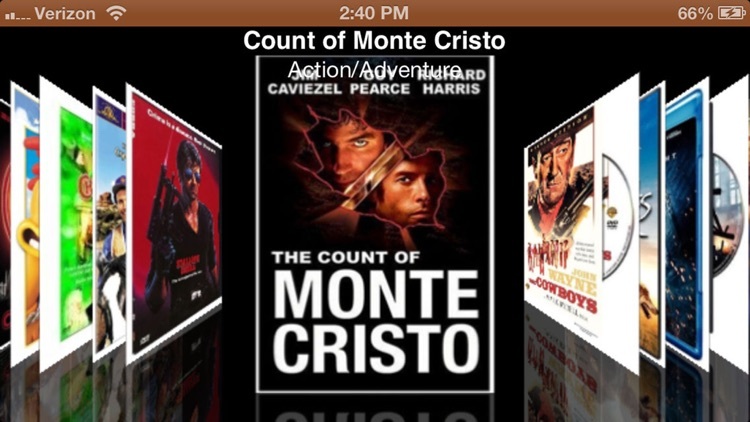 While in cover view, shake the device and a random movie will be chosen for you. - Watched/Unwatched status is displayed in the main lists. - While editing an entry, tap on the cover image to search the internet for additional cover image options. 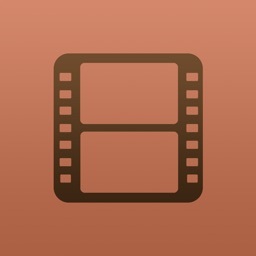 - Set default values and list font size in iOS Settings app.